Gov. Jay Inslee proposes reforming Washington’s troubled mental-health system by sending more patients to community hospitals. LAKEWOOD, Pierce County — Gov. Jay Inslee announced a new push Friday to improve Washington’s troubled mental-health system by reducing the number of civilly committed patients in the state’s two large psychiatric hospitals. In a sweeping overhaul, the plan would nearly eliminate those types of patients from the two hospitals, sending them to smaller facilities to be built in communities throughout Washington, while refocusing the institutions that are treating patients in the criminal-justice system. The plan announced Friday lacks many specifics — including an overall cost — but it creates a real deadline. 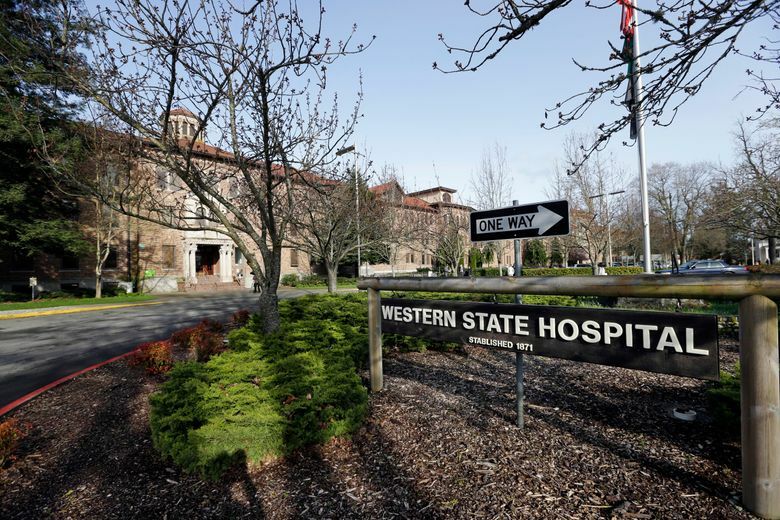 By 2023, the state would remove nearly all of the roughly 560 civilly committed patients at Western State Hospital. From staff shortages to safety issues, Western State, Washington’s largest psychiatric facility and one of its oldest public institutions, has presented a Gordian knot of troubles. In a news conference outside the hospital, Inslee said the shift is necessary to bring Washington into the 21st century, and that Western State’s outdated campus is too expensive to upgrade. Legislators and the governor in recent years have broadly agreed to move the mental-health system to a more community-based model. Among the lawmakers standing beside Inslee was Sen. Steve O’Ban, R-University Place, who agreed the Legislature must make this a priority for the 2019 legislative session. The question now is: Can Inslee, state officials and lawmakers actually make it happen? Despite about $900 million in investments in recent years to improve mental-health services and capacity, the system has continued to struggle with a lack of beds and a shortage of mental-health workers. Meanwhile, the state has struggled to comply with court orders requiring it to better provide for psychiatric patients. In one of those cases, known as the Trueblood decision, fines against the state have topped $55 million. Western State Hospital, with about 850 beds, has been beset with a variety of problems, even beyond court orders. Since a 2015 inspection by the Centers for Medicare & Medicaid Services, Western State has remained at risk of losing federal certification and $64 million in annual funding. The state has had trouble fully staffing the sprawling hospital, where pay for some skilled professions has not been competitive and where assaults on the job are common. In the meantime, the shortage of beds in communities around Washington has created logjams at the front and back door of Western State. As of Friday, 234 psychiatric patients at Western State were ready to be discharged, according to the Department of Social and Health Services, which oversees the facility. Meanwhile, 336 patients across the region are waiting for a bed to open up at Western State so they can be admitted. Currently, Western State accepts both patients who are involuntarily committed because of their illness — for instance, a schizophrenic disorder — as well as criminal defendants whose competency is in doubt. By 2023, Inslee’s plan would end placement of nearly all civilly committed patients at Western State Hospital and at Eastern State Hospital, a smaller state psychiatric hospital in Spokane County. Those patients, who are referred to the hospitals by civil courts and regional mental-health systems, would then go to smaller, state-run facilities and private community hospitals. The state plans to build a series of 16-bed mental-health treatment facilities across the state, and come up with other types of housing for patients who are ready to be discharged from the hospitals but still need some support. Meanwhile, Western State and Eastern State would still hold patients ordered into the system by criminal courts, as well as some hard-to-place patients who have been civilly committed into care. In their past few budget bills, Inslee and Washington lawmakers have poured hundreds of millions of dollars into the mental-health system. Among other things, that money has gone toward hiring more staff at Western State and adding new psychiatric beds around the state. Inslee on Friday said those funds have helped stabilize the staff shortage at Western State and also beefed up security there. But lawmakers have simultaneously wrestled with a court-ordered K-12 school-funding plan in recent years that has consumed their focus and new budgeted money. The efforts on mental-health reform haven’t been broad or deep enough to fix the existing problems and keep up with a surge in demand. “If we go at our current pace, it could be decades [where] we’re fighting this issue,” Sen. John Braun, R-Centralia and the ranking Republican on the Senate’s budget committee, said earlier this year. Lingering in the backdrop are the federal regulators who could revisit Western State at any time. They could potentially find more issues — and possibly cancel the facility’s federal funding.